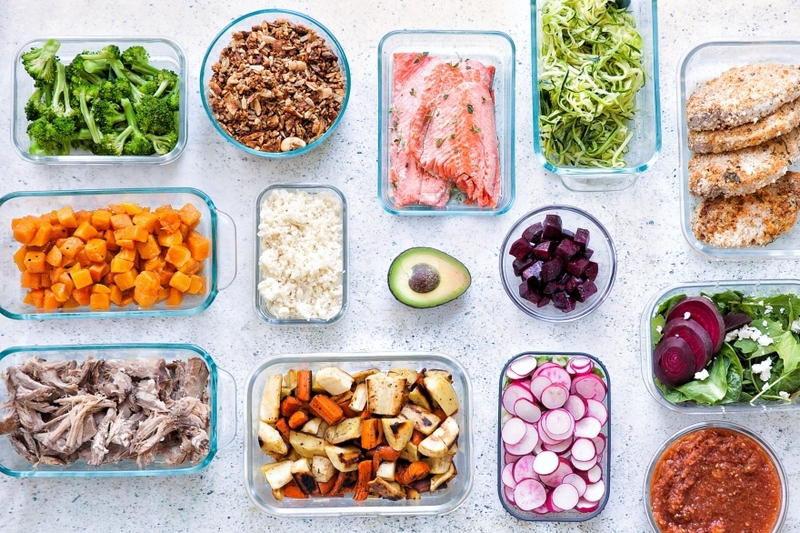 I am incredibly excited to introduce to you an amazing, simple, and fun to use tool that is guaranteed to save you time and money when it comes to your meal planning, shopping, preparation, and cooking all while staying on your individual healthy diet – Real Plans! My coaching is focused on teaching my busy clients to become empowered with their health and create a healthy balance in their lives. One of the major lifestyle foundations revolves around Diet: what to eat, what to not eat, what to cook and when, not feeling bored or deprived with your healthy food choices, and making this all easy, quick, and fun. Life Balance means your diet should not be taking up all of your valuable time – you want time for self-care, work, family, and fun too! Providing an interactive tool, like Real Plans, where my clients can learn to easily create their very own customizable meal plans, menus, shopping lists and schedule over static meal plans feels like a no brainer. “Give a man a fish and you feed him for a day; teach a man to fish and you feed him for a lifetime” (Ancient Proverb). And I am all about empowering my clients to take control over their own health and healthy lifestyle – and that starts with diet! I don’t have to waste time making substitutions for ingredients I’m sensitive to. 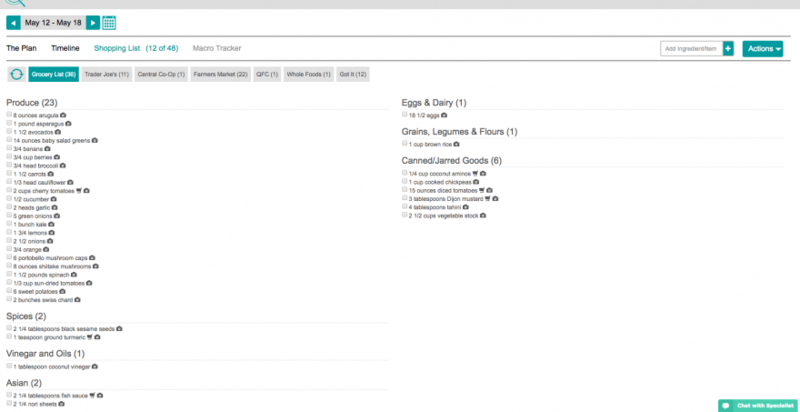 I can easily scale recipes up for batch cooking or down. The shopping lists are well organized by section and store, so I don’t waste time or money. I can plan my week ahead of time, so I can shop, prep, and cook on my schedule. And most importantly, the recipes are DELICIOUS! Healthy, simple, and quick to prepare, with no weird ingredients or obscure equipment needed. I love it and so will you, guaranteed! One of the reasons I got into health coaching years ago is I wanted to make meal planning easier, and take into account specific food sensitivities, preferences, and health conditions when doing so. I was already so overwhelmed when I learned I had “Leaky Gut” and had to completely eliminate gluten, dairy, and soy from my diet. Yet when I was given meal plans, from doctors and holistic practitioners charging me a small fortune, filled with ingredients like tofu, whole grain toast, and cottage cheese…well I was frustrated and furious! When I questioned those items, I was just brushed off and told to “substitute” on my own! This just didn’t seem fair or very caring to me, and I vowed there had to be a better way. These days, most of my coaching programs come with some sort of elimination diet plan - based on AIP (Auto-Immune Protocol) Paleo - with menus, recipes and shopping lists. And while that works for most of my clients, I wanted to offer even more customization regarding food sensitivities as well as planning tools to scale the recipes up or down depending on how many people were eating or to make batch cooking simpler. In reality, most of us don’t have the time to cook from scratch a different dish for every meal of the week and are quite happy to have left-overs to mix and match. 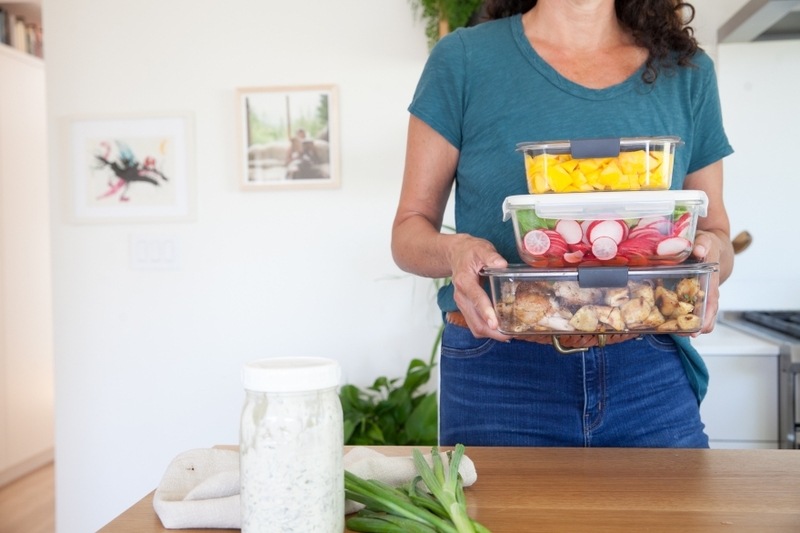 And often, some meals may be eaten outside of the home, so I wanted a way to let my clients take control of planning for when they shop, prep, and eat their meals each week. That is why I am so thrilled to share Real Plans with you and my clients. So many options and variety! Real Plans gives you a wide variety of diet types to pick from such as Paleo, Whole30, AIP, Keto, Vegetarian, Pescatarian, GAPS, Gluten-Free, Dairy-Free, Traditional, and more. 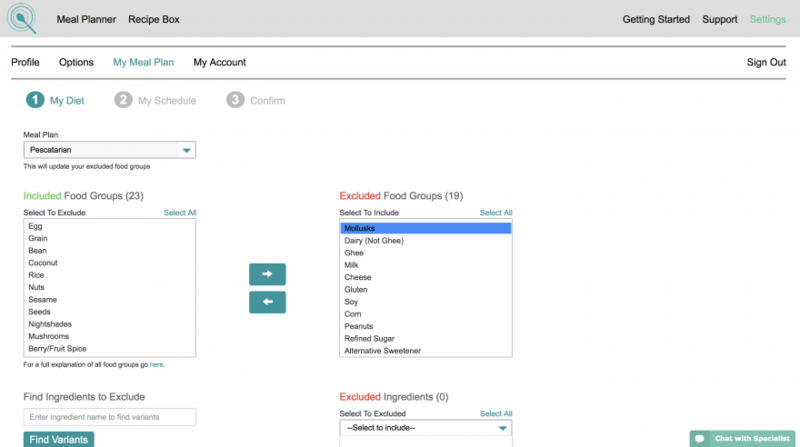 From there you can select additional ingredients you want excluded from your diet such as gluten or dairy or added in like lamb or rice. There are 2,500+ real food recipes to choose from. And there’s also options to add in more recipes from top healthy food bloggers including Wellness Mama, Nourished Kitchen, PaleOMG, Well Fed, Nom Nom Paleo, Autoimmune Wellness, and many more. And if that’s not enough, you can import your own favorite recipes and even create your own too. If you can’t eat certain ingredients or they just don’t appeal to you, simply click to eliminate them from the plan. And if later you are ready to re-introduce that ingredient you can easily do so. You can search for recipes based on ingredients, preparation time, cuisine type, and there are even options for using slow cookers, pressure cookers, and sous vide equipment if you have it. I’m using Real Plans myself and love the variety of recipes I can select based on what’s already in my fridge and in season at my local farmers market if I want to easily swap out a recipe on my plan for a different one. If you are short on time or cooking skills, the recipes are super simple, with normal, basic ingredients and cooking equipment, that are quick to prepare and easy to batch cook when you do have more time. 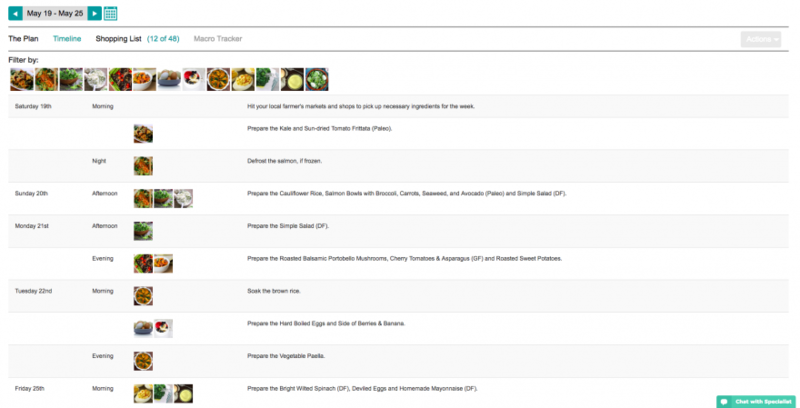 Every recipe is customizable if you want to make any changes or additions. I’m a huge fan of batch cooking to make busy weekdays easier to keep on track. With Real Plans I can scale recipes for 1 to 4 people, or more. Real time flexibility! 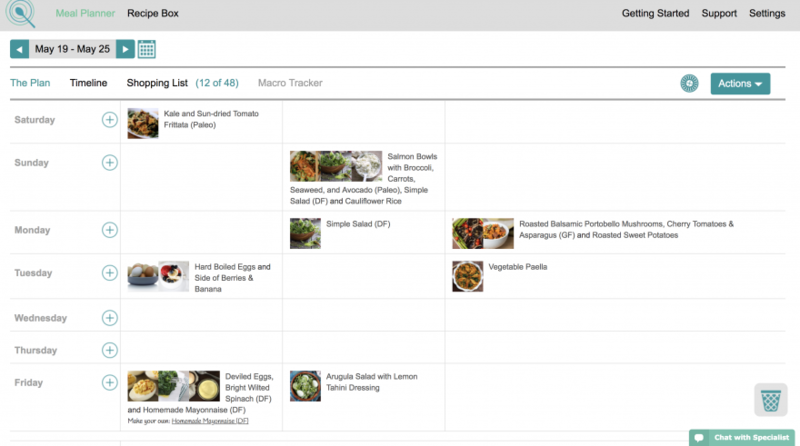 If my plans change suddenly, I can easily move that particular meal to a different day and the handy Timeline feature adjusts so I know when to shop and prepare meals. Plus, because I can easily schedule when I want to eat a specific recipe, it makes it so easy for me to batch cook ahead of time and not over-shop or have any food waste. Very efficient! Even more handy, there’s a free app so you can take your Real Plans recipes and shopping lists with you on the go. The shopping lists are organized by section and store, so you don’t waste time wandering the aisles guessing or impulse buying what you don’t need. You can email or print out the shopping list, or even better, take the phone app with you. If a certain item is out of stock at the store, using the app list, you can click on the item and find out what recipe(s) it’s being used for and make a quick substitution on the fly – no 2nd trip! If shopping is not your thing, there are many super convenient grocery delivery services available now in major cities such as Instacart and Amazon Fresh and Pantry, and most major supermarkets now offer some sort of delivery service too. In some cities you can get your groceries delivered within 1-2 hours! How convenient is that! Plans start as low as $6 per month* and Real Plans offers a 30-day money-back guarantee so you can try it out and see if it works for you. Plus, there’s online help and chats to quickly answer any questions. I invite you to try Real Plans today and see how convenient it is for you to eat healthy and create a balanced life! *Full disclosure: I am an affiliate of Real Plans, which means I may get a commission if you purchase. However, the cost to you has not been increased to compensate me and I only share products I truly believe in.